Global Property Advisor, CBRE, has published this white paper “At the End of the Day – It’s Lost Capacity” as a roadmap to a fully deployed data center. When CBRE asked Future Facilities to help save energy at the EMEA data center headquarters for a global banking organization, we sprang into action. We used our pioneering ACE Datacenter Performance Assessment – made possible thanks to our industry-leading 6SigmaDCX software tool to highlight the potential for energy savings and to show CBRE how to recover lost capacity. By the time we had finished, we’d not only saved vast sums of capital, but had also delivered a previously unheard of level of operational flexibility in those two data halls. 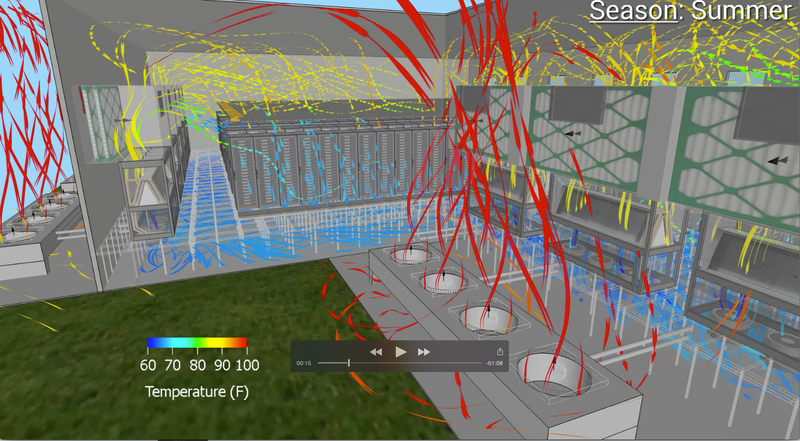 Learn about the transformation and understand why our Simulation and Predictive Modeling is a “must have” for every data center owner-operator. We’ll also show the limitations and why this client could not rely on their DCIM to get these types of operational returns. This entry was posted in Data Center DCIM Datacenter Datacenters Datacentre and tagged ace, CBRE, centrodedatos, CFD, Datacenter, datacenters, datacentre, DCIM, DCX, simulation. Bookmark the permalink.